Country duo Montgomery Gentry evoked the sound and spirit of Southern rockers like Lynyrd Skynyrd, the Marshall Tucker Band, and Charlie Daniels, painting themselves as rowdy redneck rebels who still held small-town values. Eddie Montgomery and Troy Gentry first played together in Early Tymz, a Lexington, Kentucky band led by Montgomery’s brother, future country star John Michael Montgomery. Both Eddie and Troy had been performing on the local club scene since their teenage years, the former as a drummer in his father’s band. After Early Tymz broke up, a new group called Young Country formed from its ashes, with John Michael billed out front. He eventually went solo, of course, and Montgomery Gentry first formed not long after, initially calling themselves Deuce. After playing around Lexington for a time, Montgomery Gentry landed a deal with Columbia thanks to a showcase performance. Their debut album, Tattoos & Scars, was released in 1999 and made the country Top Ten on the strength of the Top 20 singles “Hillbilly Shoes” and “Daddy Won’t Sell the Farm,” plus the Top Five smash “Lonely and Gone” and the Charlie Daniels collaboration “All Night Long.” They were named the CMA’s Duo of the Year in 2000, breaking a run of eight consecutive years by Brooks & Dunn. In 2001, the follow-up album Carrying On was released; it also made the country Top Ten and produced the number two smash “She Couldn’t Change Me.” A third album, My Town, was completed quickly and released in 2002, bringing the duo their third Top Five hit in the title track. The hard-driving You Do Your Thing arrived in 2004, followed by the greatest-hits collection Something to Be Proud Of: The Best of 1999-2005 in November of 2005. Some People Change appeared from Columbia Records in 2006, followed by Back When I Knew It All in early 2008. It all amounted to a pretty successful track record, with a dozen or more of their singles since 1999, plus all of their studio albums, entering the Top Ten charts (as did the greatest-hits collection). The duo’s eighth studio album, Gravel Road, appeared in 2010. 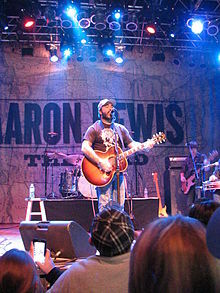 The Michael Knox-produced Rebels on the Run, the duo’s first album for new label Average Joe’s Entertainment, appeared in 2011; it debuted at nine on the Billboard country charts. A digital-only EP called Friends and Family showed up in October 2012, and after two years of solid touring the duo signed to Blaster Records and released the full-length Folks Like Us in June 2015. Back when Wallen moved to Nashville in July 2015, he was not sure what he would find, but convinced that he should at least give his dreams a legitimate shot. Less than a year later, he’d already been signed to Big Loud Records, recorded some initial tracks with producer Joey Moi (Florida Georgia Line, Jake Owen) and hit the road on his first radio promotion tour. It might appear that Wallen’s on the fast track, but it took him a while to get there. Born in Sneedville, Tennessee (a town that also lays claim as the birthplace of bluegrass pioneer Jimmy Martin), to a hard-rock-lovin’ preacher and contemporary-Christian-devoted teacher, he showed his musical interests early, singing in front of the local congregation at age three and asking for a violin for his fifth birthday. He would soon switch to piano and later add guitar to his arsenal, though he never really imagined it was possible to make a career of it. Instead, he focused his efforts on baseball and he was pretty good at it. Playing shortstop and pitcher for Gibbs High School in Corryton – the same school where Kenny Chesney graduated. Wallen earned an offer to continue playing at a major college. “Looking back, I’m glad it happened the way it did, because I really actually loved music more than I ever did baseball,” he shares. particularly the emotional connection that it created between the musician and the listener. But when he wrote, the music was invariably country. During extended time in California, Wallen met Sergio Sanchez, the lead singer and writer for Jive Records’ hard-rock band Atom Smash. While Sanchez initially served as Wallen’s vocal coach, they hit it off and started co-writing regularly back in Knoxville. Sanchez brought the music to the attention of producer Paul Trust and partner Bill Ray, who in turn produced an initial batch of songs. From there, things moved quickly. Wallen’s managers, Dirk Hemsath and Mike Bachta of Working Group Artist Management, set him up to play for William Morris Endeavor’s Kevin Neal, agent for Jason Aldean and Florida Georgia Line. Neal signed him on the spot. Hemsath and Bachta next sent demos to Big Loud Shirt’s Seth England, hoping to land some co-writing opportunities with songwriters at the publishing company. England was so impressed that he brought Wallen in to audition for his partners in Big Loud Records: Craig Wiseman, Clay Hunnicutt, Kevin “Chief” Zaruk and Joey Moi. They signed Wallen to both the label and the publishing company. Wallen started woodshedding as a songwriter, working with the likes of Wiseman (“Live Like You Were Dying”), Rodney Clawson (“Dirt”), Chris Tompkins (“Drunk On A Plane”), the Warren Brothers (“Highway Don’t Care”), Tommy Cecil (“Home Alone Tonight”) and Matt Dragstrem (“Sippin’ On Fire”). Meanwhile, Big Loud Records proved that it was big-league – while Wallen worked on his own music, the label’s first-ever single, Chris Lane’s “Fix,” shot to #1, an unheard-of start for a brand-new label. Wallen hopes to build a similar story. His end goal is to continue to be onstage, making that emotional connection with his distinctive sound, as well as releasing his anticipated forthcoming debut album of Big Loud Records.